The Beano is celebrating its 80th Anniversary. This week’s anniversary issue is guest-edited by David Walliams. Iain Sawbridge, chief marketing and content officer at Beano Studios, told The Independent he thought the Beano success is partly down to the fact that much of the entertainment industry still hasn’t found a way of replicating what The Beano got right more than 60 years ago. “The reality is, the media industry doesn’t ‘think kid’ enough” he says. “So children aren’t always getting the entertainment experiences they deserve in broadcast or digital environments, and the digital world where older kids now spend most of their time isn’t made for 6 to 12s.” That strikes me as very true. Long live The Beano in all its forms. Viewing data this week will show the cartoon series Dennis & Gnasher Unleashed has become the top show on the BBC’s children’s channel CBBC in its first week, and the 10th most-watched programme in the country among children aged six to 12, alongside The X Factor and Strictly Come Dancing. It is a lifeline for Britain’s longest-running comic, founded in 1938, which has seen weekly sales slide from 2m in its 1950s heyday to around 35,000 today. As well as a new website, app and TV venture, there are plans for live shows, merchandising, partnerships and even films and fashion tie-ups. If it all seems a million miles from the days when Biffo the Bear and Lord Snooty ruled the comic’s pages, then that’s because it is. A rather undervalued master of comic verse, Colin West divides this collection into seven sections, which include “Funny Folk”, “Curious Creatures” and “Vicious Verses” – contains both older and newer verse. With a string of celebrity endorsements from Britain’s best loved children’s writers, including Philip Pullman, Michael Morpurgo and Jacqueline Wilson, the success of The Phoenix marks the welcome return of the classic British comic. Launched in 2012, and rated ‘the second best comic in the world’ by Time Magazine, 30th October 2015 will be a defining moment for The Phoenix when it publishes Issue 200; the first independent comic in the country to reach that issue since 1969. A milestone in the history of the British comic, The Phoenix 200th issue celebrations will include an array of exciting new comic strips, exclusive strips from young Phoenix readers, new partnerships and involvement from the most celebrated names in British publishing. As well as endorsements and support from children’s authors including Philip Pullman, Malorie Blackman and Frank Cottrell Boyce, issue 200 will feature an exclusive front cover created by Children’s Laureate, Chris Riddell and a trail for a new strip launching in 2016 called Philip Pullman’s John Blake by Philip Pullman and Fred Fordham. The Phoenix is also delighted to announce a new partnership with children’s charity READATHON, which encourages millions of children to read and raises money for children in hospital through its sponsored reading event in schools. Copies of The Phoenix will be inserted into Readathon schools kits with special subscription rates and a free prize draw that will include comic workshops and goody bags of Phoenix Presents books titles. In addition, The Phoenix will announce a designated comic artist who will take the Readathon in Residence role working with children in a hospital for one year. The 200th issue also sees The Phoenix being stocked in WH Smith for the first time and the launch of a loyalty scheme for those children who buy the comic weekly from independent booksellers and a twitter takeover by Phoenix artists using the #HappyPhoenix200 hashtag. Literature did wonders for my early vocabulary By the age of five, I was writing couplets that featured the word “alas”. I suppose I had a way of speaking that was not always suitable for my age. It made me stand out at school – and not in a good way. School can be hell I was bullied from the age of seven, and I had to share a classroom with the main bully, my nemesis, for the next nine years. I was made fun of, stabbed with pencils in the back. It was all pretty unpleasant, and made me very anxious, very scared. I didn’t talk about it to anyone, I didn’t ask for help; I just thought that this was what life was. I coped by reading; books were a window to another world. via Philip Ardagh: I can’t help writing funny. It’s true. Funny chose me | Children’s books | The Guardian. The new children’s novel from David Walliams is to be a comic horror story called Demon Dentist. It will feature a “drilling-crazed villain” with “an over-the-top devotion to teeth extractions”. Publisher Ann-Janine Murtagh said the novel was “gloriously original and flamboyantly dark”. The book will be published in hardback in September. via ‘Evil dentist’ theme for Walliams | The Bookseller. 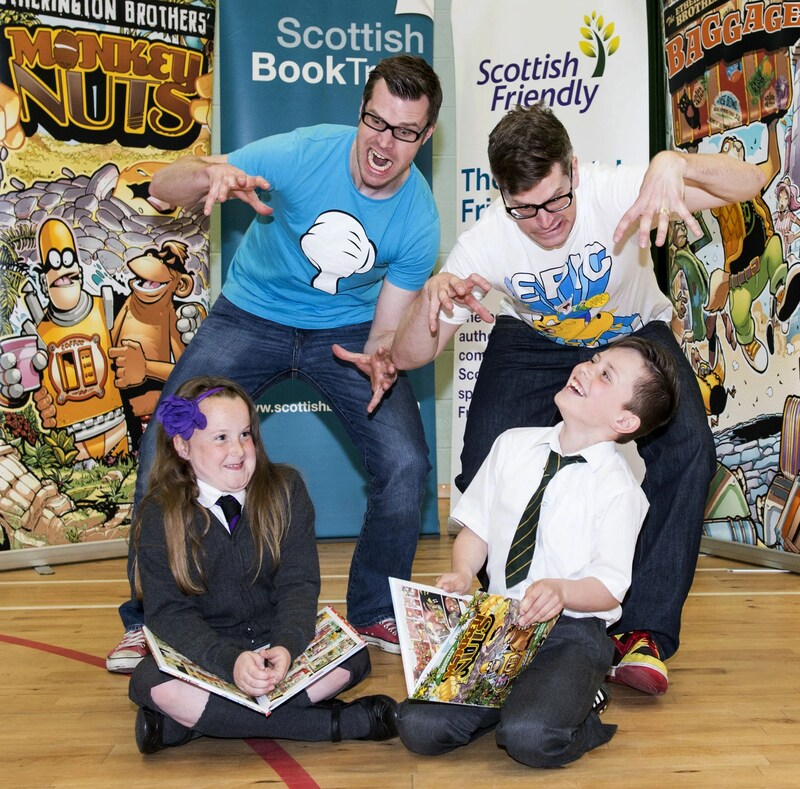 Primary school children in North and South Lanarkshire received a masterclass in comic book creation when dynamic writer-artist duo the Etherington Brothers visited Scotland this month. 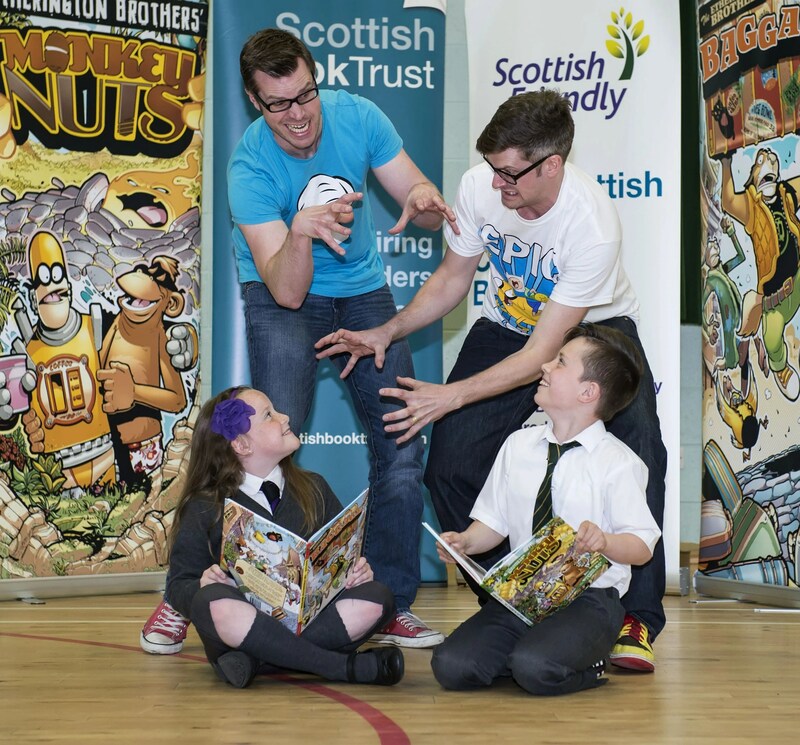 As part of the second Scottish Friendly Children’s Book Tour of 2013, run by Scottish Book Trust, over 1,500 lucky North and South Lanarkshire primary school pupils were invited into Robin and Lorenzo Etherington’s zany world of comic art and storytelling. The brothers will have visited ten schools during the tour, including five schools in North Lanarkshire from 13 to 15 May, and a further five schools in South Lanarkshire from 15 to 17 May. The energetic and engaging Etherington Brothers are a British comic book duo who are changing how pupils and teachers up and down the country are thinking about comic books. With Robin writing and Lorenzo illustrating they show pupils how to devise original characters, worlds and stories for a 21st century audience. Aside from original material, the talented brothers have also produced comic work for Transformers, Star Wars, Wallace and Gromit, and Terminator. 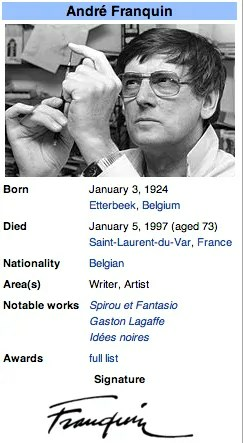 They’ve also worked on movies such as Dreamworks’ Monster vs. Aliens and Madagascar.